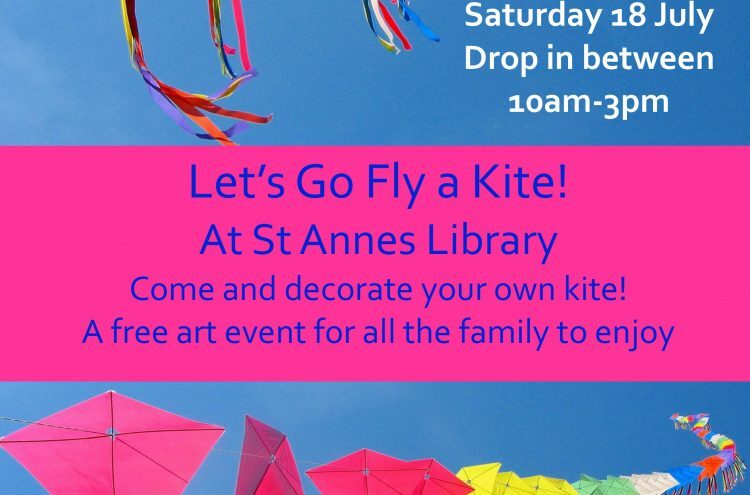 As part of the St Annes Music & Arts Festival, Fylde DFAS is sponsoring a kite making event at St Annes Library on Saturday 18 July. The sessions will take place between 10.00 am and 3.00 pm. All materials and guidance on how to create the kites will be provided. Once completed and decorated the kites can either be taken home or used to decorate St Annes Library in advance of the St Annes Kite Festival, which takes place the following week. The event is open to all ages. Hope to see you there!